Henley's first solo album, while not being necessarily a chart buster, gave him a bit of unexpected success, and he would chart the waters once again. Like his first solo album, he surrounds himself with great talent. Back are producers Danny Kortchmar and Greg Ladanyi as well as guest appearances from such names as Jim Keltner, Belinda Carlisle, Lindsay Buckingham and a huge chunk of Tom Petty's Heartbreakers. 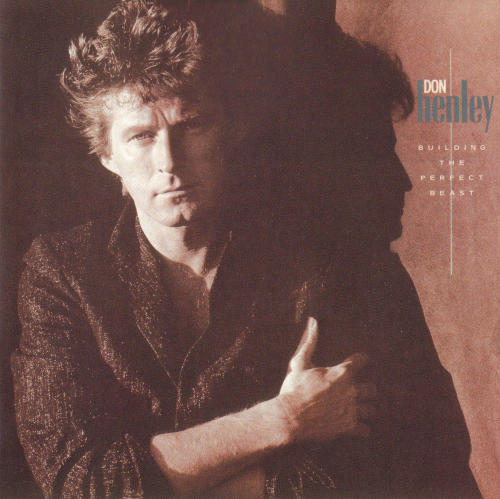 For whatever reason, Henley finds his groove on this album, and it would help define him as one of the strongest solo artists of the 1980s. The leadoff single, The Boys of Summer is a tune written by Heartbreaker Mike Campbell that was turned down by the above mentioned Tom Petty. Henley took it and wrote some introspective lyrics about not being able to revisit the salad days. It's easily one of the best songs Henley ever put out, and he embraces the MTV aspect of putting together a very memorable video to accompany the song. As good as the song is, it's hard to listen without the images of the music video (I think it even won an MTV award, or something, I'm not sure). In fact, the whole album sounds definitely "Eighties", yet it's aged quite well. This is what we wish all of those eighties albums should sound like. Consider the second single, All She Wants to Do is Dance, another hopelessly infectious tune that has electronic synthesizers pulsating through the piece, but the lyrics seem to indicate a sleazy underworld of drugs and thugs. In other words, it sounds more of a Miami Vice song than something a former Eagle would release. He shows his softer side throughout the album as well, which adds to the overall quality. Sunset Grill seems to be synthesizer heavy, but it's a bit more low key and memorable - again, Henley's lyrics add to the overall feel. Some of the other forgotten tracks that resonate just as well are the quirky Driving With Your Eyes Closed, the honky tonkish You're Not Drinking Enough and the plight of the American Farmer in A Month of Sundays (which, sadly, due to time constraints, was included on the CD, but left off the vinyl pressing). Overall, there's enough variety to make any lover of music embrace some part of the album. It seems like an impossible statement, but a whole new generation of music lovers that maybe had never heard of The Eagles fell in love with this guy simply because of what he had managed to do in a few short years as a solo artist.